Burgess Hill Town and Ian Chapman parted company today (Friday) and it's been a rollercoaster six and a bit seasons. In his first full season in charge, the former Albion defender took them to an eighth place finish, before they missed out on the play offs by just two points the following season. The third season was an incredible one, finishing top and going on an unbeaten run of 36 games - the longest of any team in levels 1-8 in England. 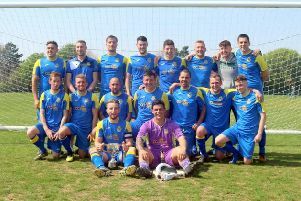 The 2015/16 season saw them finish in the relegation places, but they had a reprieve after Farnborough were deducted points for going into administration. The following season saw a dramatic survival on the final day, with Sam Fisk's injury-time goal against, Merstham saving them from the drop. The 2017/18 season saw them survive on the final day again, despite losing 3-2 to Harrow Borough. The Hillians were winless after nine games before Chapman took his short absence of leave after losing 8-0 to Bognor Regis Town.